Our popular wreath–making workshops return for Christmas 2018. 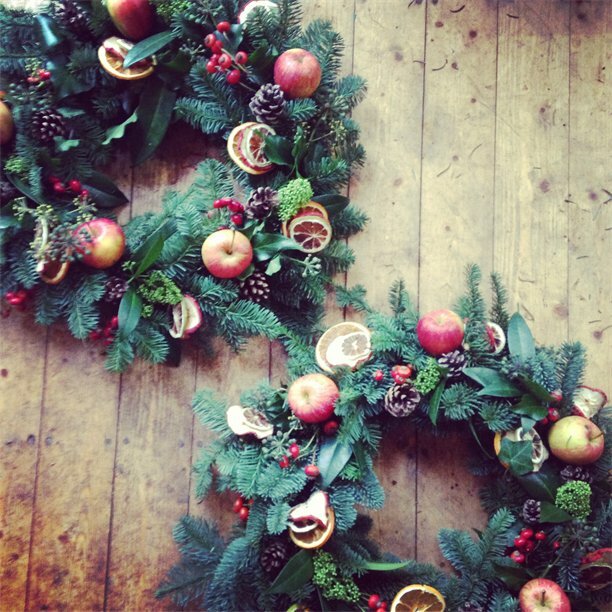 With the assistance of award-winning florist, Sam Cotterell, you will create your very own beautiful door wreath to adorn your festive front door. Using the traditional method of moss and wire, we will have an array of interesting foliage, seedheads, fresh fruit and decorations, together with a bit of sparkle. Both sessions include tea, coffee, stollen and mince pies. This event is for Friends of CUBG & their guests only.